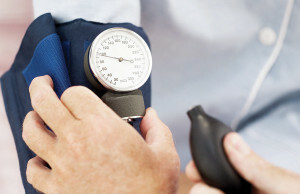 How Low Should Your Blood Pressure Be? Since an estimated one in three people in the United States has high blood pressure, which puts them at risk for heart disease and stroke, kidney failure and other health problems, determining an ideal blood pressure is vital. According to a new study, which was ended more than a year early because of “potentially lifesaving information,” the optimal number may be lower than the current blood pressure guidelines, researchers said Friday.